Hostel Trastevere v Řím, Itálie: Zarezervujte nyní! 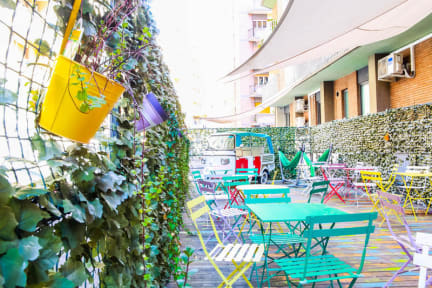 Our hostel is right next to Trastevere old town, consistently rated one of the trendiest neighborhoods in Rome and just across the river from Rome’s most iconic sights. We have a nice garden and a terrace, our rooms and dormitories have air-conditioned and free WiFi. 3 common areas all designed for different moods. To relax, to work, or to party. We look forward to welcoming you soon! !